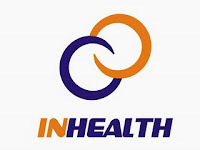 PT Asuransi Jiwa InHealth Indonesia (InHealth) is a subsidiary of PT Askes (Persero) engaged in the life and health insurance, and have a vision that is the top choice in the health insurance industry in Indonesia. PT Asuransi Jiwa InHealth Indonesia provider network of more than 7,000 providers, widespread from urban to remote Indonesia, enables us to provide optimum services for company employees and their family members, as well as a high level of efficiency. Good looking and good communication or presentation. At least 1 year(s) of working experience in the related field, prefer as Marketing Group Insurance. Applicants must be willing to work in Jl. HR Rasuna Said.